From the introduction: During a short talk I gave at a recent Annual Meeting of the Sturry Parish Council, I briefly mentioned the loss of two RAF pilots who were killed in the local area during the summer of 1940. One victim was Pilot Officer J W Bland whose Hawker Hurricane crashed near the bottom of Staines Hill and the other, Flying Officer F Gruszka, flying a Supermarine Spitfire, who came down in the marshes towards Stodmarsh. In my talk I raised the possibility of an appropriate memorial being erected to these airmen and following my rather "off the cuff' remarks, Councillor Alan Marsh, Member for the area which includes Sturry and Westbere on the Kent County Council, said he would apply for a Council grant to put this in train. A sum of £200 was duly approved and this has been passed on by the Sturry Parish Council to the local amenity organisation, The Society of Sturry Villages, pending further developments. The original suggestion was that some kind of plaque be erected for the Westbere crash but because of the circumstances now hope that a joint memorial might be possible. 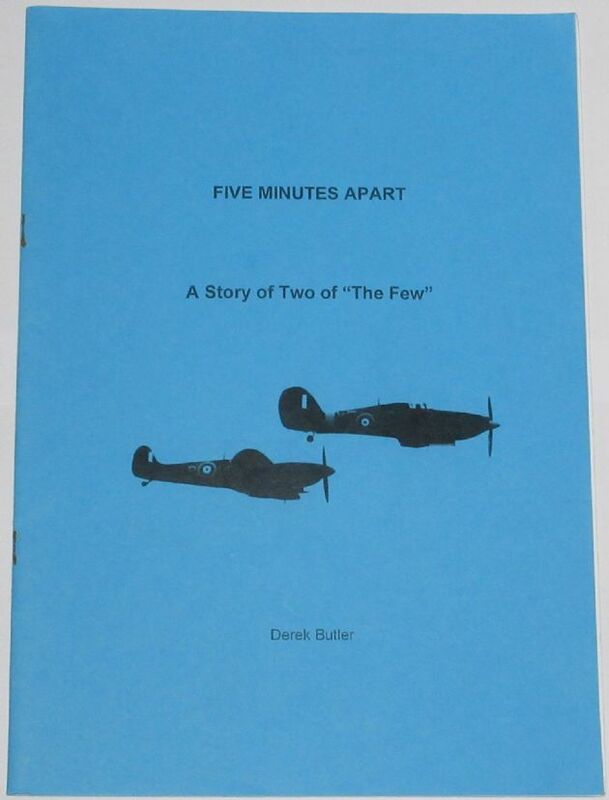 This little booklet looks at the backgrounds and brief lives of these pilots. The condition of the booklet is generally good. The cover has some minor scuffs and blemishes, and light wear along the edges and corners, but the staple spine is intact and all pages are intact, unblemished and tightly bound.